Most bucket list seekers are keen to discover more about vacation destinations beyond the resort. I’m always looking for adrenaline-filled ways to increasingly go beyond my comfort zone. When I think about Mauritius, I imagine calming blue waters and luxury at its finest, but its coastline and interior is ripe for exploration and adventure. Water sport is very popular on the island and thrill-seekers test the waters with kitesurfing. Getting below the surface can put you in deep waters in Mauritius with scuba diving and a combination of hiking, climbing, jumping, sliding, and abseiling make up the extreme sport of canyoning. 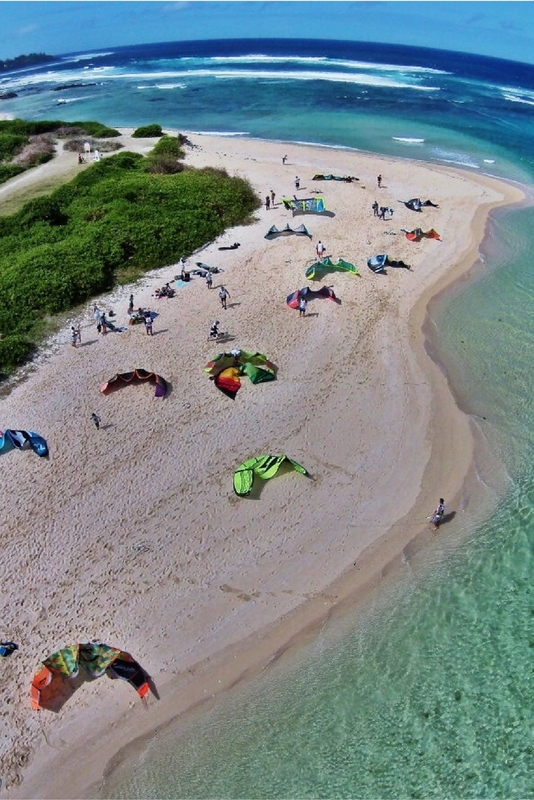 If you prefer a bird’s eye view, both rock climbing and skydiving will bring you to new heights above the island. Regardless if you love the air, land, or sea, you can find adventure in Mauritius. Check out our favorite bucket list adventures in Mauritius. Rock climbing in Mauritius will test your strength, balance, flexibility, and endurance while rewarding you with magnificent views and mammoth mountains. The major rock climbing site is at the Belle Vue Cliffs near the village of Albion on the south west coast. Other well known sites include the mountains Pieter Both and Corps de Garde. Pieter Both is part of the Moka range, and at 820 metres is the second highest mountain in Mauritius. It’s easily identifiable by the huge round boulder atop its peak, which has iron spikes affixed to its surface to aid climbers on their way to the final summit – a flattish top no wider than about six feet across, but with 360 degree views that are well worth the scramble. Corps de Garde translates as ‘body of soldier’ after the peak’s resemblance to a sentry man lying down. Its highest point is around 720 metres, and the basaltic rock face is a popular location for early morning climbs as the views of the sunrise are spectacular. 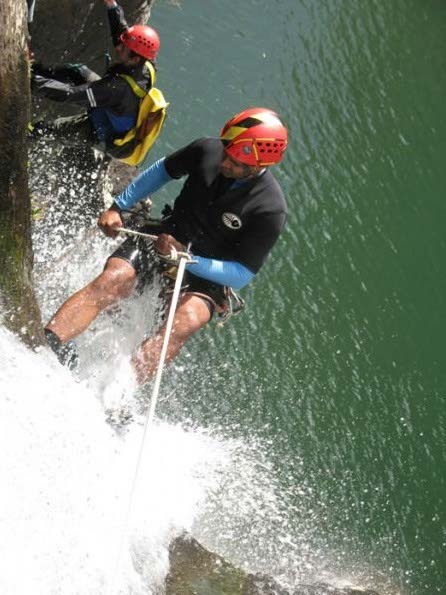 There are several stunning locations across Mauritius to test your skills while canyoning. Vertical World Adventures offer fully supervised trips for the complete beginner and expert canyoner alike, including a full day out at Tamarin Falls – which includes 9-11 abseils and a spot of cliff-jumping – or a short but exhilarating excursion to Chamarel Falls, where a single 90 m abseil puts you straight into the pool below. 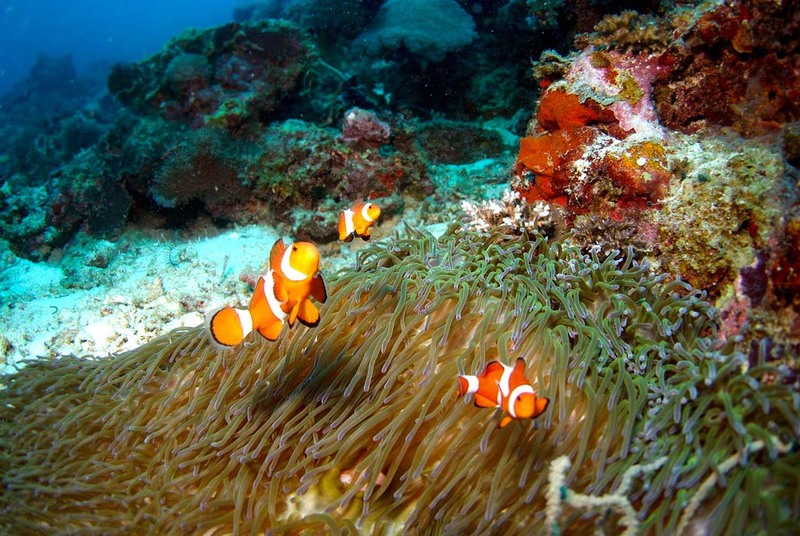 In Mauritius, the scuba diving scene is absolutely fascinating. There is colorful marine life and the peaceful silence of the sea as you dive into it. If you’re looking to add a new level of excitement to your underwater adventures, try adding a wreck to your next scuba diving itinerary. More than 100 wrecks have been registered in the waters surrounding Mauritius, so advanced divers are spoiled with choices. Three of the most popular wreck dive sites include the Djabeda wreck, Stella Maru, and HMS Sirius. 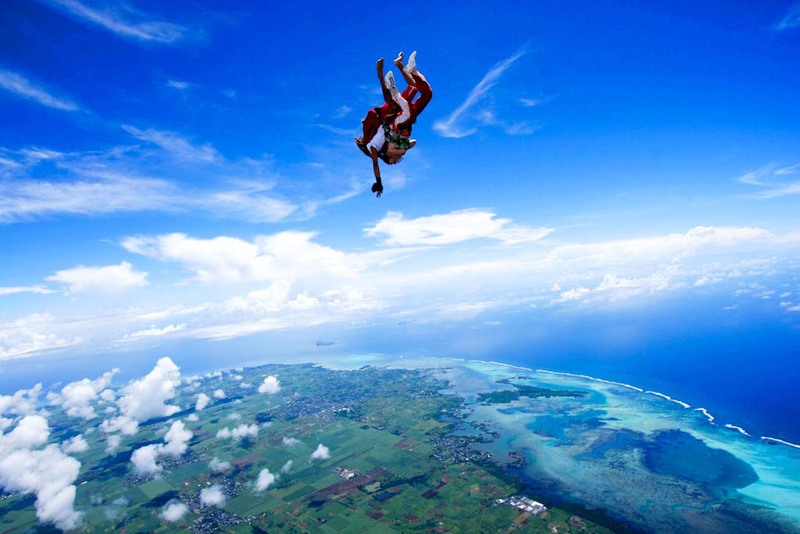 There is only one spot on the island to go skydiving but with views from up to 15,000 ft over some of the best coastline, Skydive Mauritius is a spectacular adventure. The aircraft is equipped with a full perspex door offering a complete 360 degree view of the awesome coastal, inland, and mountain scenery. Jump out of the aircraft into thin air and fly towards the ground at 200 km/h before your instructor deploys the parachute for an unrivaled view over the island, while slowly descending towards the ground. 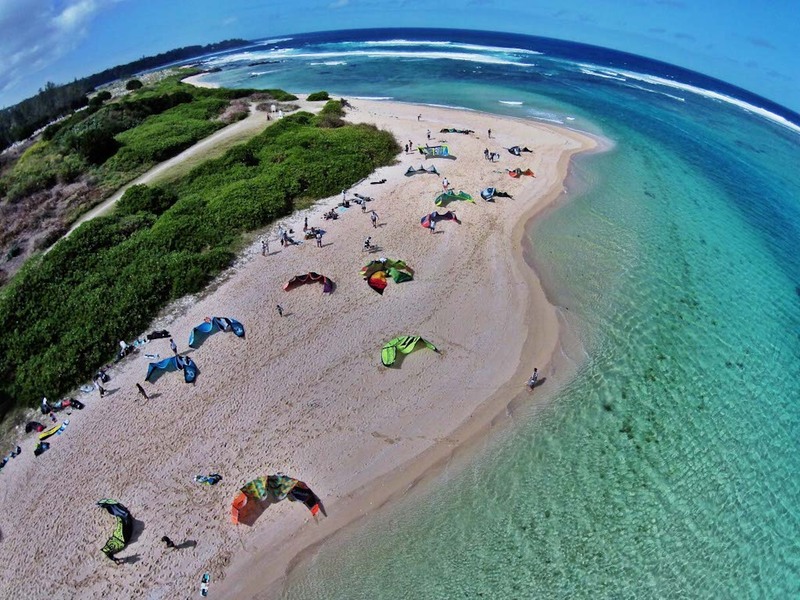 Mauritius is one of the world’s premier kitesurfing destinations so if you’ve always wanted to try your hand at it, this is an ideal place to learn. Some of the best known surf spots on the island are concentrated around Le Morne Brabant – a dramatic rock formation and peninsula down in the quieter south west corner of the island. Many of the area’s hotels offer kiteboarding lessons for beginners or gear rental for more experienced surfers, such as LUX Le Morne and Beachcomber Dinarobin Hotel Golf & Spa. Independent surf schools like the Le Morne Surf School also offer lessons. The natural beauty of Mauritius adds to every experience, but these bucket list adventures in Mauritius stand out above the rest.